BIO-SEA secure ballasting, deballasting and cleaning operation with an association of filtration and UV water treatment. The choice between different sizes and designs of filter facilitates retrofit as well as new building installations. 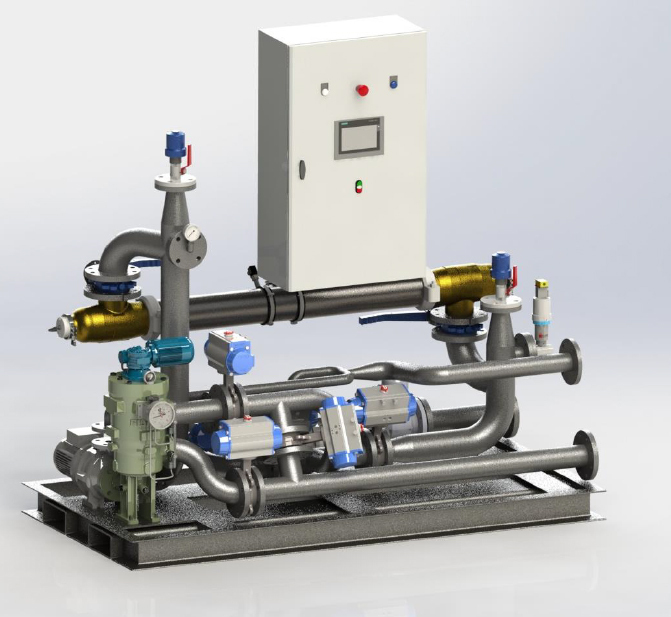 The modularity of the UV solution, treating 100 m3/h of brackish sea water per reactor, meets any pump’s flow rate. When the pressure gauge indicates clogging of the filter, the self-cleaning cycle is automatically launched. 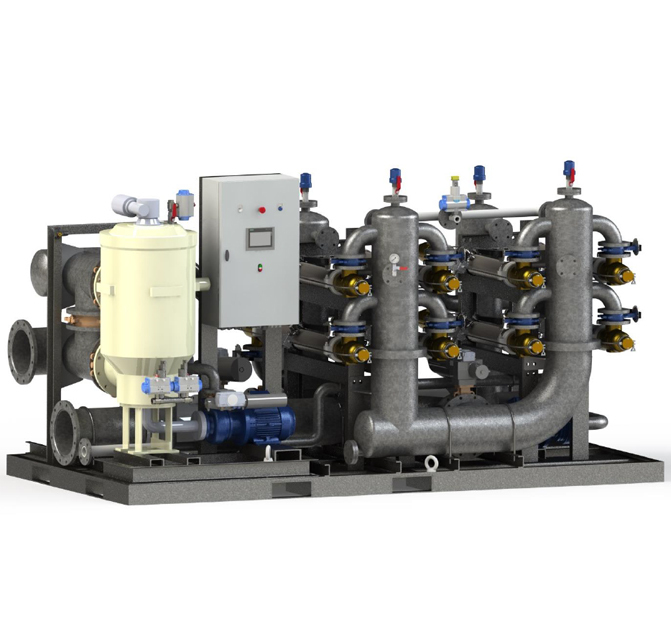 The dedicated backwash pump ensures the discharge of the filtrate, without loss of flow rate while filling the ballast tanks. UV disinfection only – filtration is automatically by-passed. At the end of operation (either ballasting or deballasting) a total purge of the system is performed, followed by flushing and filling of the filter and UV reactors with fresh water.